﻿ What Are Email Marketing Integrations & Why Do You Need Them? » Red Mango Marketing! What Are Email Marketing Integrations & Why Do You Need Them? Email integrations add power to your email marketing campaigns. Your first step when you start emailing is to import all of your existing contacts. Imagine if you had to type in each contact detail manually? With an email integration designed to integrate your contacts from Gmail or Outlook, all you need to do is click a button, and you’re ready to start email marketing. There is email marketing software that allows you to keep track of your marketing on-the-go, there are tools to personalize email campaigns, integrations that connect your online store to your email marketing, others that build your contact lists, and even more for adding your contact information. There’s a lot you can do with integrations. 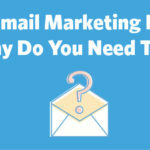 Are you using emails to market your business? Give Constant Contact a try for FREE! What is an email marketing integration? To integrate is to combine two or multiple things, to create a whole. Email integrations are individual tools that can be combined with email marketing to create a complete and effective strategy. Email marketing is a powerful tool that allows you to send emails to your contacts, with a specific purpose, and drive desired results. When you integrate your email marketing campaigns with other powerful tools or email integrations, you double the power and can achieve better results. Let’s say you’re a small business, such as a candle store that offers beautiful, handmade candles and DIY candle-making kits. You’re just starting out with email marketing. You have decent foot traffic in your physical store, but your online store is suffering. You want more people to sign up for your emails to build organic contacts, but the process is long and tedious. But hey, you do have a great social media following, with people going gaga over your behind the scenes videos. Still, when you ask people to sign up for your emails, the results are meager. With an integration, you can integrate your Facebook with email marketing to create ads that give people an easy one-click sign up option. The ad can be completely customized with text, images, and links to cater to your audience. What’s more? All the contacts who sign up through your integrated ad are directly added to your mailing list as well as your CRM. You grow your contacts, and email marketing simultaneously. Email integrations are the perfect solution to sync your online retail store with your email marketing. You can directly add products to an email, personalize the email based on each contact’s individual needs, or create predefined lists for specific campaigns. Say, for example, you notice a rise in abandoned carts on your online store. One of the best ways to fight this loss is by sending an abandoned cart email using marketing automation through your email service provider. What’s that? An abandoned cart email shows the customers the exact products they placed in their cart but didn’t purchase. The email gives them a chance to complete the order and acts as a simple reminder. Using a simple drag and drop tool, a customized email is sent as a reminder to your contacts, recouping the loss from abandoned carts. You can also add product blocks to make recommendations of similar products to the items in the abandoned cart, to increase your chances of making a sale. Business management email integrations streamline your day-to-day tasks, like automating your email marketing, managing client relationships, or generating detailed reports. There are even integrations for managing your social media channels. Collect and build your contacts through your social media and directly add them to your email list. You can then customize the link with impactful text, a call-to-action button, and add relevant images that resonate with your audience. If you are hosting an event, email integrations make managing and promoting it much more efficient. You can track the registrations, add event information to email templates, and even send follow up emails to ensure a great turn out. These are just a handful of things you can do with email marketing integrations. I believe that if you have the courage to be a small business owner, you have what it takes to be a marketer. No one knows your business as well as you do, and that makes you the perfect candidate for marketing your business. All you need is the hunger to grow and the passion for success; email marketing integrations handle the rest. There are many ways you can collect contacts, organically, and build your mailing list. However, the task of putting them all together in one place can be daunting and time-consuming. With email integrations built to support creating lists and building contacts, you can use multiple channels to collect contact information and sync them all with your email marketing platform without the hassle. Email marketing is effective when the emails you send are targeted, meaning the right information goes to the right person. For example, sending a discount coupon on dog food to cat owners will generate no revenue, and may even result in unsubscribes. Even targeting the best time to send an email to your target audience can double the chances of making a sale. With email marketing integrations you can send targeted emails to drive better results. Personalized emails don’t just mean your emails greet the reader on a first name basis. You should send emails that are relevant to their interests, browsing history, shopping history, and even the items in their abandoned carts. It shows a one-to-one interaction between your business and the customer, which leads to better sales. If you notice a customer has been browsing your Fall clothing collection but has not made a purchase, a “Featured Fall Products” email could generate renewed interest. Timely responses, emails to new subscribers, birthday wishes, and other emails can easily be automated with email marketing integrations. Marketing automation ensures that all your subscribers get the information they need, when they need it. It also creates a continuous flow of communication, without the stress. For example, if you collect birthday information with your contact information, you could create an automated email series to wish individuals a happy birthday. It’s a great way to show your customers that you care and value the relationship. Return on investment or ROI from email marketing can easily be tracked and measured with email marketing integrations. You can closely monitor the ROI from each campaign, understanding the metrics from start to sale. These metrics help measure the total ROI generated by individual campaigns, as well as quarterly and annually. Knowing the ROI helps you strengthen future campaigns. All these reasons point to the growth and success of your business. Email integrations give your email marketing the boost it needs to go from good, to great. Using these email integrations, you can be a marketer too–and a great one at that! Building your own business is tough. Keeping it growing is tougher. Marketing is essential to the success of a business. Today, small business owners rely on digital marketing tools like email, to get the word out and grow their business, and integrations help them get it done. Email integrations add value to your email campaigns and marketing efforts, and in return, bring in more value to your business. It’s a win-win. Head to the Constant Contact Marketplace for the most efficient integrations, services, and applications for powerful email marketing. The post What Are Email Marketing Integrations & Why Do You Need Them? appeared first on Constant Contact Blogs. This entry was posted on Friday, December 28th, 2018 at 8:00 am	and is filed under Email Marketing, News & Updates. You can follow any responses to this entry through the RSS 2.0 feed. Both comments and pings are currently closed.